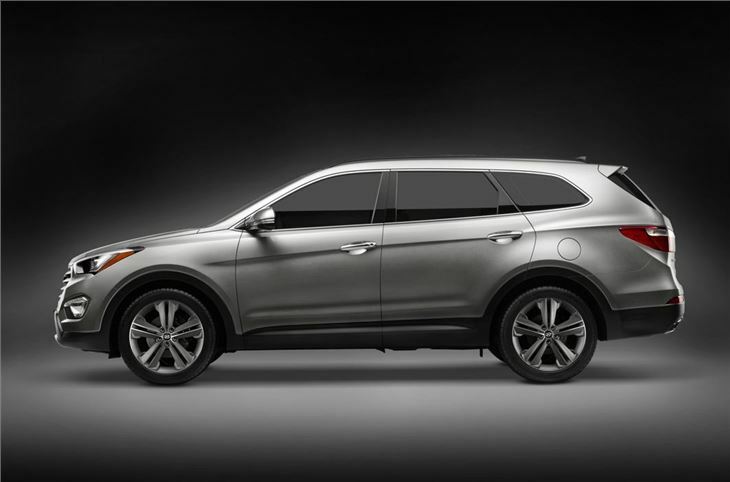 Hyundai has officially revealed the new Santa Fe which will go on sale at the end of 2012. As before it's a seven-seater and will come with an improved version of the 2.2-litre CRDi diesel engine in the current model, producing 200PS but with CO2 emissions of 145g/km. Prices are expected to start at around £25,000. It will also get a new 2.0 CRDi engine with 150PS. This is expected to be front-wheel drive and will be badged Blue Drive as a low emissions model. The standard gearbox is a six-speed manual while a six-speed automatic is also available. A 2.4-litre petrol is available in some countries but unlikely to come to the UK. The design follows on from recent Hyundai models such as the i30 and i40 but with an even more prominent grille. 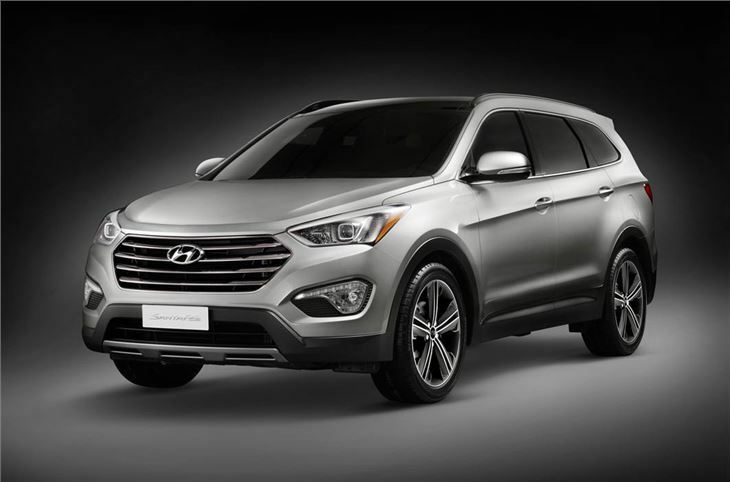 Called 'Fluidic Sculpture' by Hyundai, the brand says the new Santa Fe is designed to look strong and dynamic with a more aggressive appearance than the current model. 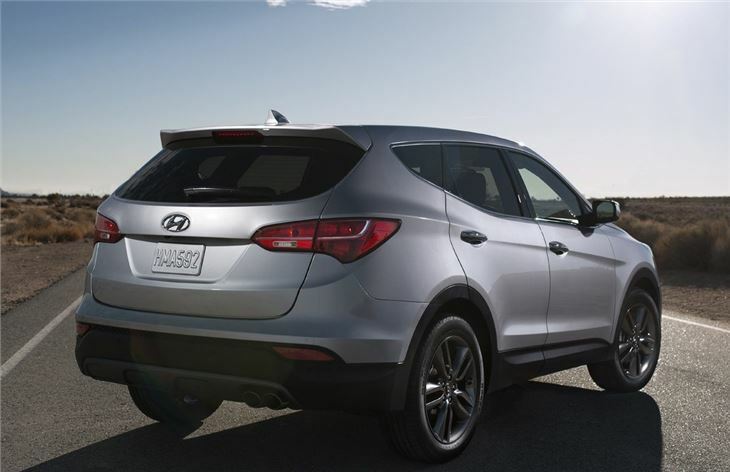 It has the same 2700mm wheelbase as the current Santa Fe but is longer and wider. Legroom is better and the front seats are electrically adjustable while the second row of seats slides and folds with a one-touch control, giving easy access to the third row seats. There are some clever design features too like the deep doors which cover the side sills, so that the sills stay clean and passengers don't get dirty when getting in or out. 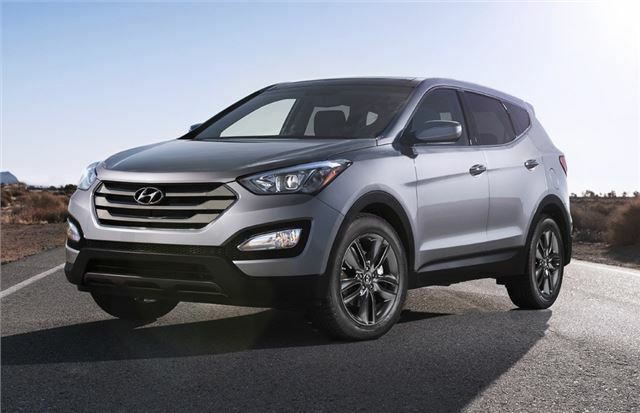 It's available with a range of new features including adaptive cruise control and a Smart Parking Assist system which helps the Santa Fe slot into tight spaces. 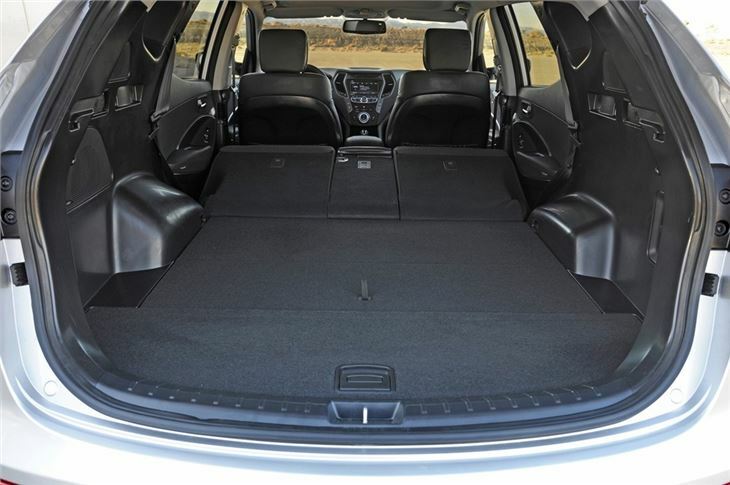 And like all Hyundai models the new Santa Fe will come with the Five Year Triple Car package which includes a five-year unlimited mileage warranty, five years of roadside assistance and five years of vehicle health checks. Hyundai has tweaked the Santa Fe for European roads with changes to the steering, suspension and brakes as well as modifications to aid high speed stability. It comes with a Flex Steer system as standard which has three settings - normal, sport and comfort - each giving different steering feel. Hyundai is also promising a car-like ride in everyday driving conditions, helped by self levelling suspension which comes as standard. The all-wheel-drive set-up is an on-demand system runs in front-wheel drive the majority of the time but can send up to 50 per cent drive to the rear wheels if it detects a loss of grip. For particularly slippery conditions, such as snow or ice, permanent four-wheel-drive can be selected, delivering a 50/50 power split at up to 25mph. Maximum towing capability with a braked trailer is 2500 kg.